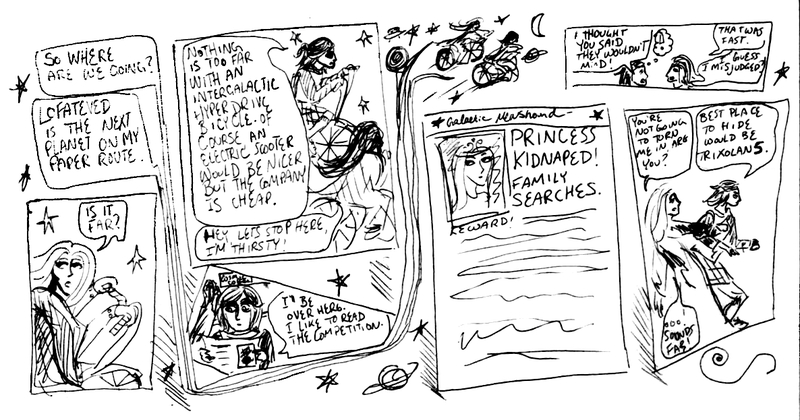 This comic is the second of a series about an intergalactic newspaper delivery girl who falls in love with a princess from a distant planet. It traces their adventures through the galaxy, as a sort of lesbian Star Trek with flavours of Kerouac-ian wanderlust (but hopefully without the Kerouac-ian misogyny!) Enjoy!